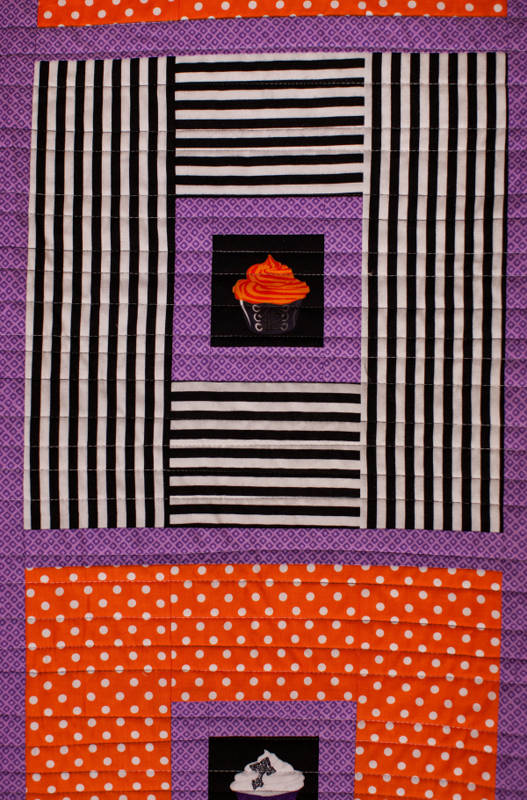 QUILT - Posh Tot with Cupcakes in Gothic Blocks on Purple. Back is completely different Quilt from Gothic and Cupcake Fabrics. Machine pieced and quilted in channel style. 52 x 66. Perfect Couch quilt.